Gus G. spent the past decade affirming his status as one of metal’s reigning guitar virtuosos. Personally handpicked by Ozzy Osbourne in August 2009, he served as the heavy metal legend’s lead guitarist through spring 2017, while also establishing himself as an acclaimed solo artist with more than a dozen studio albums to his credit. He’s also managed to find time to perform worldwide with acts as diverse as Arch Enemy, Dream Evil and his own band, Firewind. 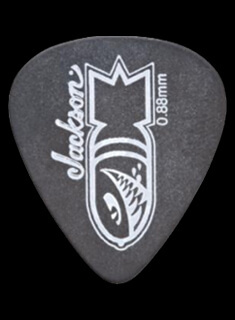 Jackson pays homage to the Greek Metal God with his very own USA Signature Gus G. Star, offering a new take on one of Jackson’s original avant-garde body shapes. 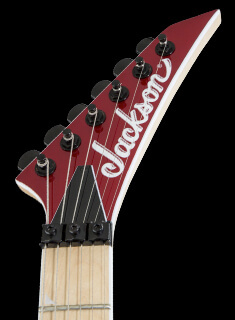 Premium features include an alder body, one-piece through-body quartersawn maple neck with satin urethane back finish, graphite reinforcement rods and scarf joint, 12” radius fully bound rosewood fingerboard with 24 custom jumbo frets, Jackson’s pointed 6-in-line headstock and the option of a Gus G. logo in mother of pearl at the 12th fret. 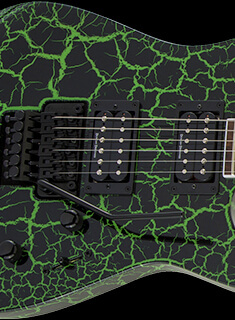 A pair of active humbucking Seymour Duncan® Gus G. Signature Blackouts power this pointed-machine with thick, meaty and towering tone, that can be controlled by a master volume dial and three-way toggle pickup selector switch. 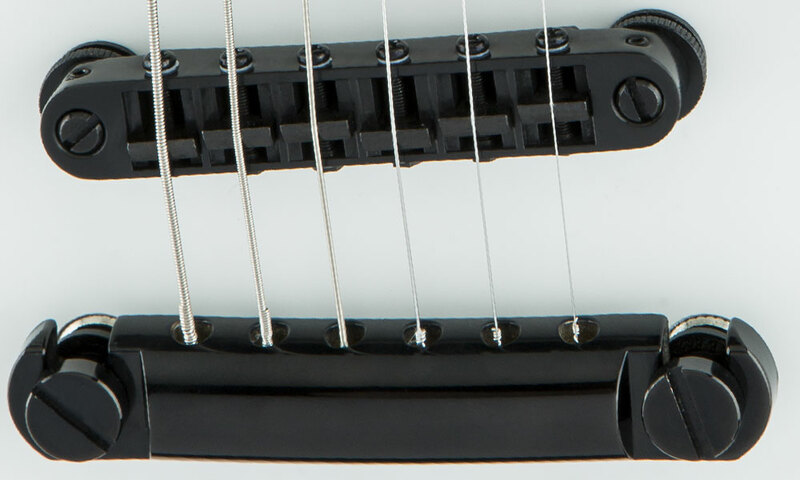 Its TonePros® adjustable Tune-O-Matic style bridge with Gotoh® stop tailpiece, bone nut and Sperzel® locking tuners work in tandem to provide outstanding tuning stability and durability. Available in Satin White with Black Pinstripes or Satin Black with White Pinstripes, the USA Gus G. Star bears brooding black hardware and comes in a hardshell case. 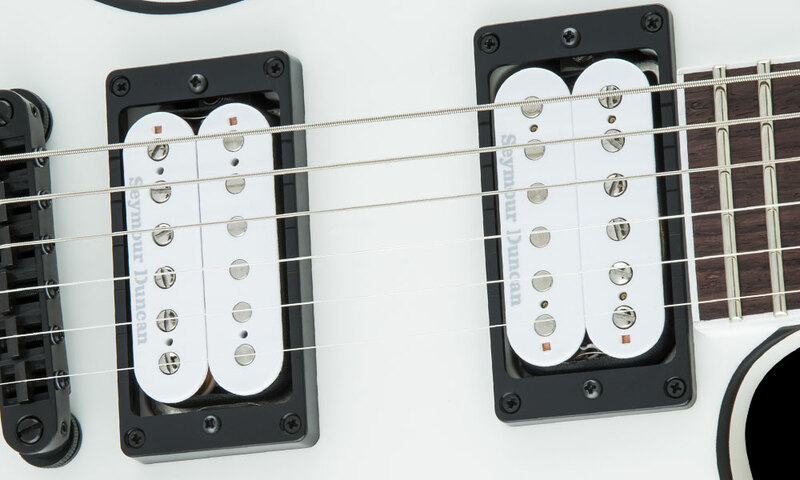 This matched set of two traditionally constructed humbuckers and a battery-powered Blackouts dual preamp was created for Gus G., who wanted the power of active pickups without sacrificing the hair-trigger response of his favorite Seymour Duncan passive pickups. Experience massive tone, kick, and distortion of traditional Blackouts, plus the rich tone and expressive feel of commonly found in passive pickups. 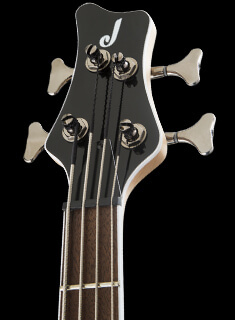 Instantly recognizable, the TonePros TOM-bridge is the gold standard in the market, allowing for total control and infinite tuning possibilities. Of premium quality, the Gotoh stop tailpiece is made from aluminum alloy, which is 2-3 ounces lighter than that of competitors, allowing strings to vibrate freely for more colorful tones.